Fishing Lake Gogebic in the Western UP of Michigan – The Purest of Pure Michigan! In 13,380 acres of prime fishing water, Lake Gogebicoffers walleye, small mouth bass, northern pike, jumbo perch and some whitefish. With shores that range from sandy to rocky to clay banks, you’ll always be challenged. Learn to read the lake and how to use the right fishing method in the right place for the big reward. 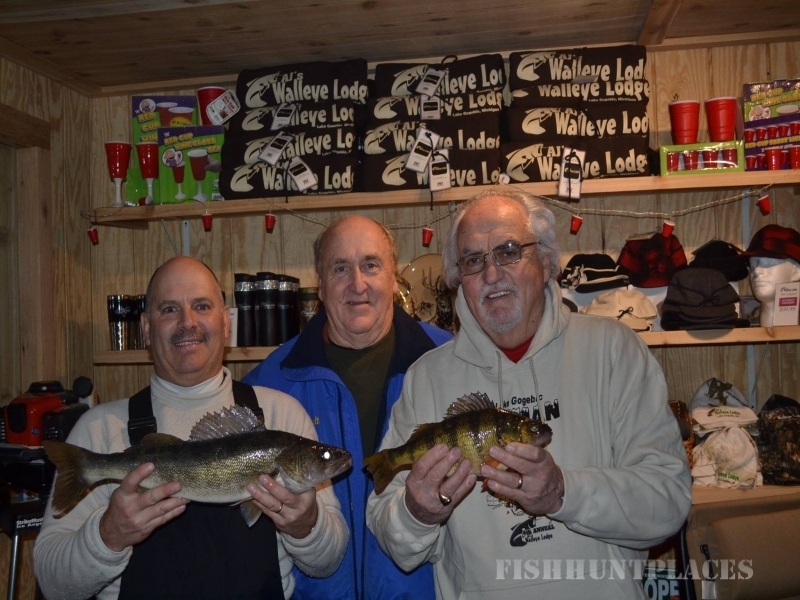 AJ’s Walleye Lodge has several things going for it when it comes to planning a fishing trip. Starting with your hosts who love to fish, you will usually see us out early in the morning catching a fresh batch for breakfast. 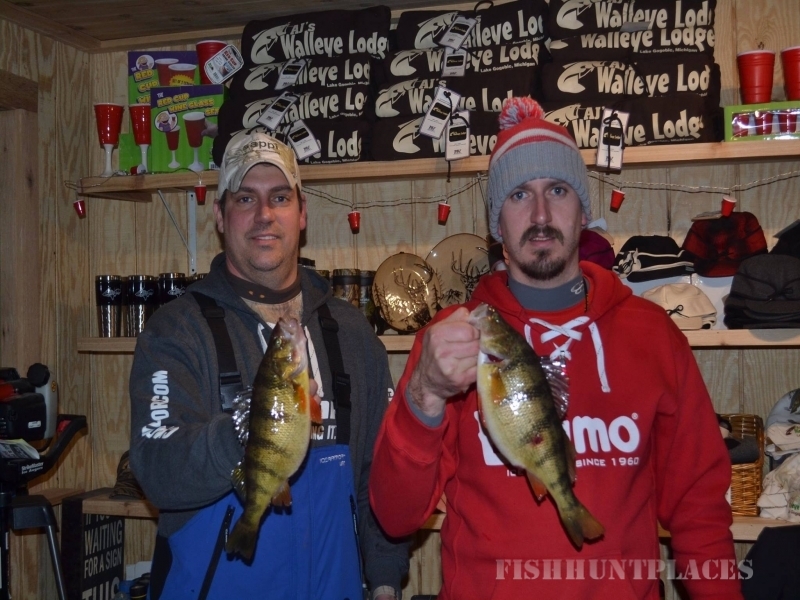 We also will give you the latest fishing info at check in to help get you of to a good start. We are actually located on the lake, on the North shore of Bergland Bay, which is home to some of the best fishing on the lake. Might not sound like much but when you can see your boat from your room and you get to enjoy the great lake views you will feel it‘s a big plus. The bay offers large weed beds, calmer waters and a wide variety of fish. We have a live bait and tackle right on the property as well as a fish cleaning station and plenty of freezer space and Guide Service is available. We have over 400’ of dock space in the summer at no charge to our guests, so bring your own boat or rent one of our fishing boats or our pontoon boat. 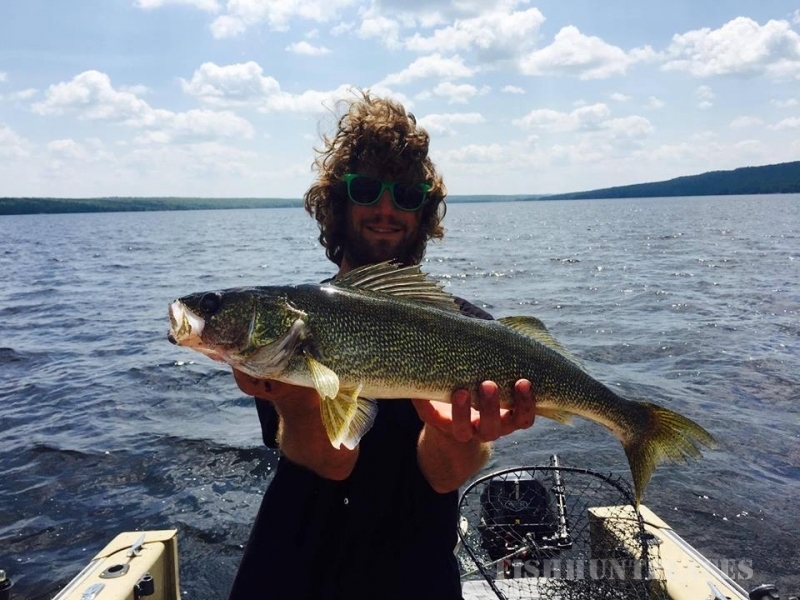 Lake Gogebic provides a variety of good fishing throughout the year for Walleyes, Smallmouth Bass and Jumbo Perch and can be fished many different ways depending on wind conditions and water temperatures. We offer several hunt options and packages to suit your needs and budget. 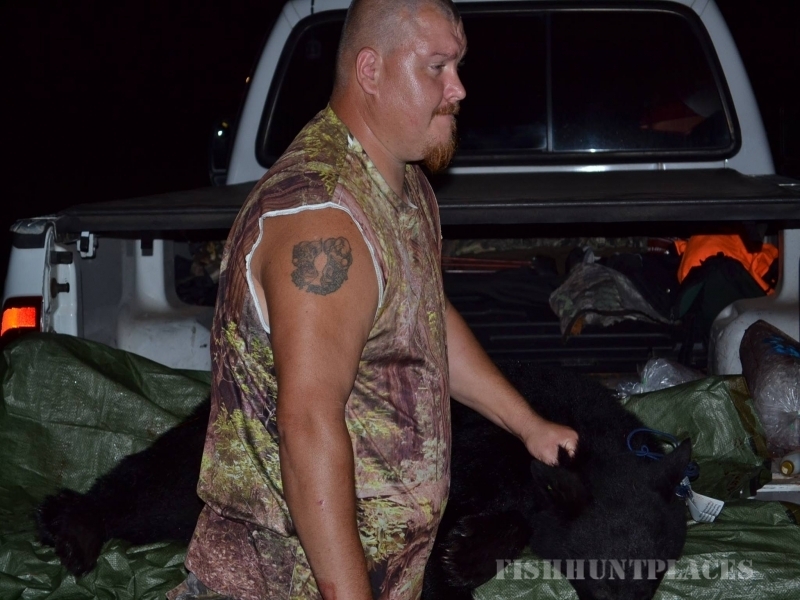 Michigan Bear Season has 3 hunt periods. 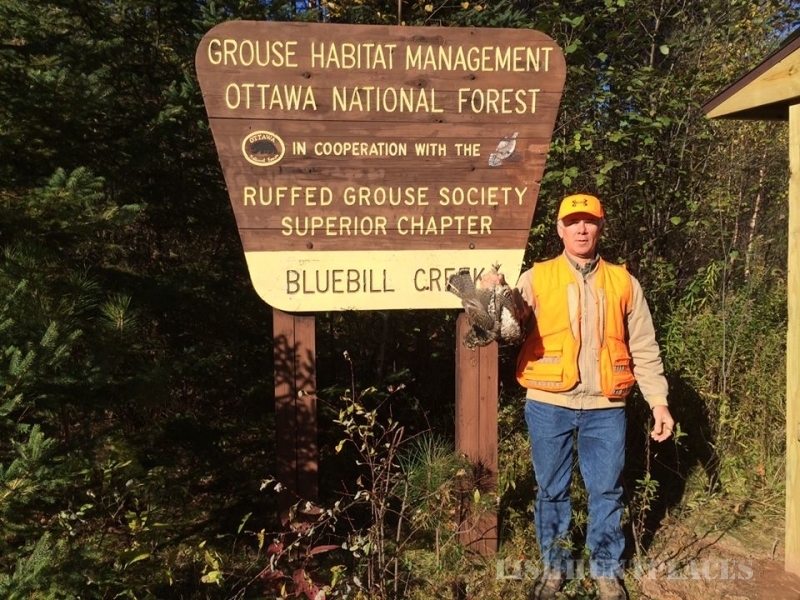 1st season is a 5 day hunt from September 10 – 14 and is a no dogs period. Second season begins September 15, and 3rd season begins September 25. The final hunt day is October 25. Permit applications for the Bergland area need to be submitted to the State of Michigan in early spring (see www.michigan.gov/dnr ), with results generally posted by June 30. 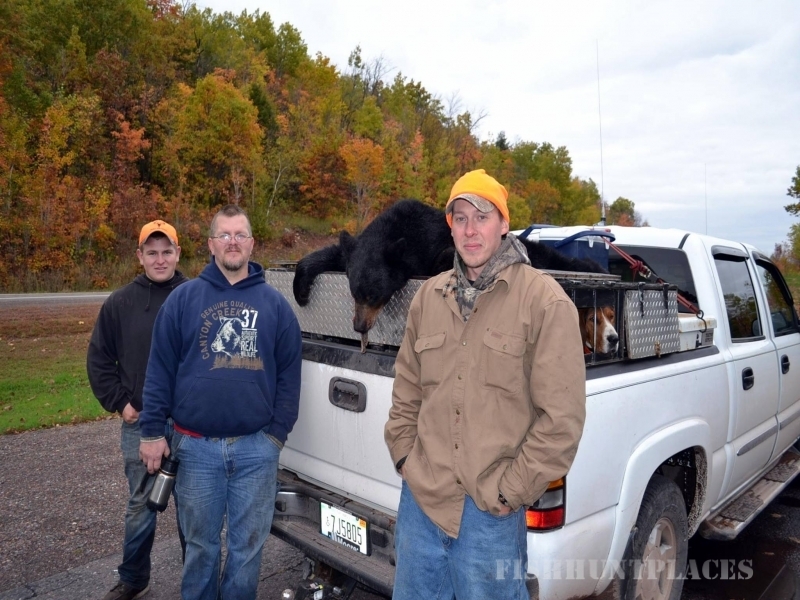 On receiving news of a successful permit, give us a call at (906) 575-3557 and we can provide you with information on private and public land bear hunts. We have package deals to fit your needs. We are booking now. Contact the Walleye Lodge & Motel toll free at 906-575-3557 to make your reservation. Beginning 2010 The U.S. Forest Service requires all guides on Forest Service land to be licensed and insured and to pay land use fees. Are Guides are fully licensed and insured! The State of Michigan now has similar requirements for 2011.